Crippling social care cuts are hitting poor elderly people the hardest and leaving an increasing number of care homes on the brink of closure, a new report has found. The King’s Fund and Nuffield Trust study said the quality of care older people receive is dependent on their finances and location, instead of their level of need. The study warned that some care homes are so underfunded by struggling local authorities they are close to going bust, with the most vulnerable being left at risk. Together with a shortage of care workers – who often face deplorable working conditions – the cuts are putting care companies under precedented pressure, the report said. “The possibility of large-scale provider failures is no longer a question of if, but when, and such a failure would jeopardise the continuity of the care on which older people depend,” the report said. Since 2011, local authority spending on social care for the elderly and disabled has fallen by 11 percent, whilst the number of people receiving state-funded care has dropped by around a quarter. In 2009, more than 1.1 million elderly people received local authority funding for social care, but that figure dropped to 853,615 by 2014. Increasing numbers of people who need assistance with dressing, washing and getting up are struggling to cope, the report concluded. “No one has a full picture of what has happened to older people who are no longer entitled to publicly funded care. The human and financial costs to them and those who care for them are mounting,” the report said. The report warned that if adult social care falls to less than 1 percent of GDP by 2020, as it is expected to do, many local authorities will be unable to meet their statutory duties. The growing crisis is leaving the poorest “reliant on an increasingly threadbare local authority safety net”. Nuffield Trust deputy director of policy, Ruth Thorlby, said the crisis was also beginning to effect the NHS, as record numbers of people are now stuck in hospital because of the lack of resources. Thorlby made clear that this was not the fault of local authorities, who are overwhelmed by massive budget cuts. “Our research found that local authorities have done their best to make savings, while protecting funding for the poorest, but care providers are struggling on the low fees councils can afford,” she said. 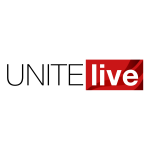 Unite national officer for health, Colenzo Jarrett-Thorpe – who said Unite care workers have been flagging worsening conditions in the sector for years – placed responsibility at the government’s door. “It is a toxic mix that is degrading care for the most vulnerable in our society, as well as making life increasingly difficult for care workers doing vital work for very low wages,” he added.